Pandu Leni (also known as Trirashmi Caves and other variations) are a group of 24 caves carved between the 3rd century BC and the 2nd century AD, representing the Hinayana Buddhist caves. These caves have nothing to do with the Pandavas of Mahabharata. Leni is Marathi word for caves. The location of the caves is a holy Buddhist site and is located about 8 km south of Nashik in Maharashtra State. Special Cover (MH/7/2016) on Pandav Leni was released at the inaugural function of Mahapex-2016 on 16th January 2016. B) Special Cover on Late Smt. Kusumben Mehta – 16th January 2016. Fortnightly meeting of Philatelic Society of India was organized at the venue in the afternoon. 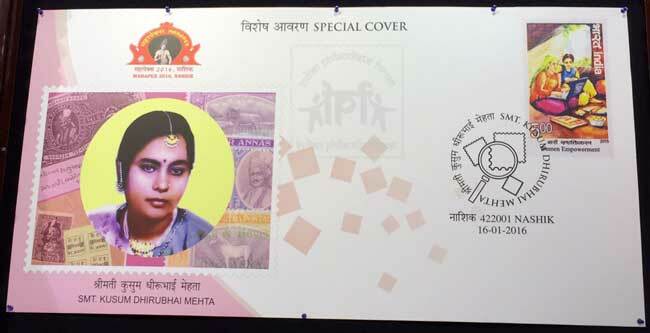 During the meeting a Special Cover on senior philatelist Late Smt. Kusumben Mehta was released. Late Kusumben Mehta was leading philatelist from India and wife of Senior Philatelist Shri Dhirubhai Mehta. She passed away on 6th October 2015 at Mumbai. Smt. Kusumben Mehta was a keen Philatelist and she was a life member of PCI, PSI and so many other Philatelic & Social organisations. 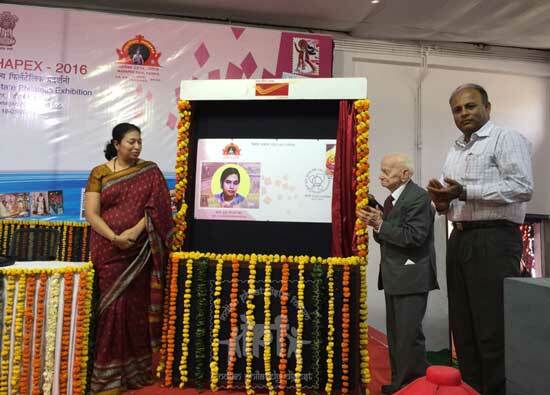 Mahapex-2016, Maharashtra State Level Philatelic Exhibition - 16th to 18th January 2016. 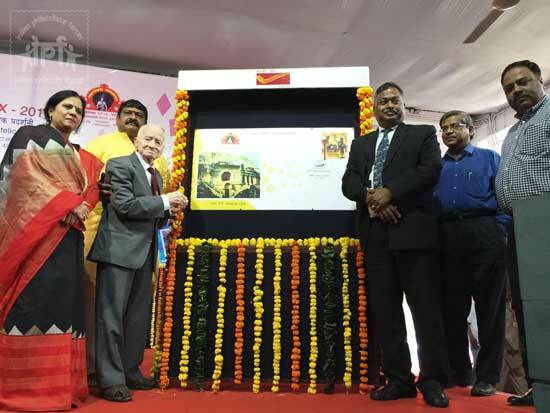 Mahapex-2016, 12th Maharashtra State Level Philatelic Exhibition inaugurated at Postal Stores Depot, Upnagar, Nasik City - 422 006 on 16th January 2016. Shri Ashok Murtadak, Mayor of Nashik City, Smt. Devyani Farande MLA of Nashik Central, Shri A. K. Dash. 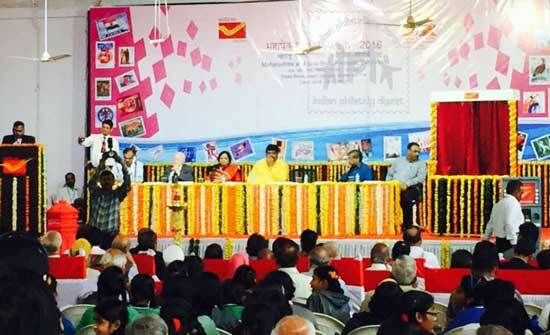 Chief Postmaster General, Maharashtra Circle, Shri Dhirubhai Mehta senior philatelist and President of Philatelic Society of India, Shri Pranav Kumar, Postmaster General, Aurangabad Region and Shri Sankha Samanta freelance artist and well known stamps designer graced the dais at inaugural function. Stamp design competition and elocution competition were organized for the school children on the subject of stamp collecting. all india postal office pincode data search engine.